Cornelius Meister is one of the most successful young German conductors of his generation. Recently a new demanding position has been added to his impressive artistic biography: With the start of the 2018.19 season, he was appointed General Music Director of the Staatsoper and Staatsorchester Stuttgart. In 2018 he was also awarded the OPUS Klassik as "Conductor of the Year". The open air concert in the Ettal Abbey is his debut at the Richard Strauss Festival. In the famous tone poem "Don Quixote", the cello plays the most important musical role next to the orchestra, as it characterizes the title character. 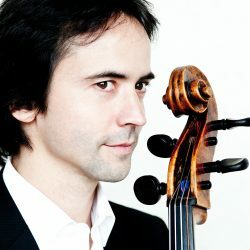 Here the celebrated French cellist Jean-Guihen Queyras, who will also be performing for the first time at the festival, shines with his virtuoso artistry and interpretative intensity, which have led him to the top of the international cellists. "A Midsummer Night's Dream", the masterpiece of seventeen-year-old Felix Mendelssohn Bartholdy, has given the open air concerts their motto. The work leads into the mysterious fairytale world of the elves, the dancing bullies and the playful goblin Puck. 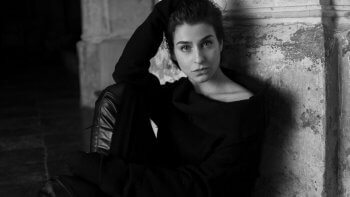 The composer subtly and with all romantic attributes translates the magical atmosphere of Shakespeare's play with idyllic colours and poetic verve into the language of music. A highlight and at the same time the crowning finale of this year´s festival. Cornelius MeisterCornelius Meister has been General Music Director of the Stuttgart State Opera and State Orchestra since this season. Since 2017 he has also been Principal Guest Conductor of the Yomiuri Nippon Symphony Orchestra Tokyo. Among the prizes awarded to him in 2018 are the OPUS Klassik as “Conductor of the Year”, the International Classical Music Award in the category “Symphonic Recording” for the complete recording of the symphonies by Bohuslav Martinů as well as the Diapason d’Or and the Preis der Deutschen Schallplattenkritik for the DVD “Jules Massenet: Werther” (Zurich Opera). In 2018 and 2019 he will conduct concerts at the Teatro alla Scala in Milan, the Cologne Philharmonic, Vienna, Tokyo and Shanghai. As an opera conductor, he is responsible for the new production of Così fan tutte at the Zurich Opera and makes his debut with Don Giovanni at the Metropolitan Opera in New York. 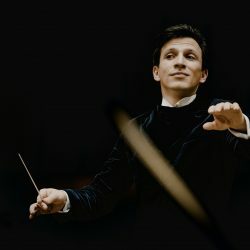 In the following seasons, in addition to his Stuttgart productions with Wagner and Richard Strauss at the Vienna State Opera, with Mozart at the Metropolitan Opera New York and the Opéra de Paris, and with a world premiere at the Bavarian State Opera, he will also be present at the Vienna State Opera. Jean-Guihen QueyrasCuriosity and diversity characterize the artistic work of Jean-Guihen Queyras, who devotes himself with passion to music while remaining completely unpretentious and humble towards the works, in the spirit of Pierre Boulez, with whom the cellists had a long collaboration. With the same intensity, he takes on both early music – such as the Freiburger Barockorchester, the Akademie für Alte Musik Berlin and the Concerto Köln – as well as contemporary works. Among others he has premiered compositions by Ivan Fedele, Gilbert Amy, Bruno Mantovani, Michael Jarrell, Johannes-Maria Staud and Thomas Larcher. In November 2014 he recorded Peter Eötvös’s Cello Concerto on the occasion of his 70th birthday under the direction of the composer. Jean-Guihen Queyras is still an active founding member of the Arcanto Quartet; he forms a permanent trio with Isabelle Faust and Alexander Melnikov. Alexander Melnikov and Alexandre Tharaud are also his piano partners. His diversity has led many concert halls, festivals and orchestras to invite Jean-Guihen Queyras as Artist-in-Residence, such as the Concertgebouw Amsterdam, the Festival d’Aix-en-Provence, Vredenburg Utrecht, De Bijloke Gent and the Wigmore Hall London. 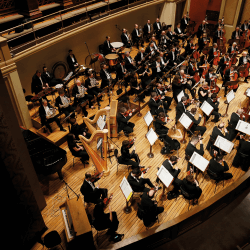 Jean-Guihen Queyras is a regular guest with renowned orchestras such as the Philadelphia Orchestra, Symphonieorchester des Bayerischen Rundfunks, Philharmonia Orchestra, Orchestre de Paris, NHK Symphony, Leipzig Gewandhaus and Tonhalle Zurich. He has worked with conductors such as Iván Fischer, Philippe Herreweghe, Yannick Nézet-Séguin, Jiři Bělohlávek, Oliver Knussen and Sir Roger Norrington. Jean-Guihen Queyras is professor at the Musikhochschule Freiburg and artistic director of the festival “Rencontres Musicales de Haute-Provence” in Forcalquier. He plays a cello by Gioffredo Cappa from 1696, which the Mécénat Musical Société Générale makes available to him.